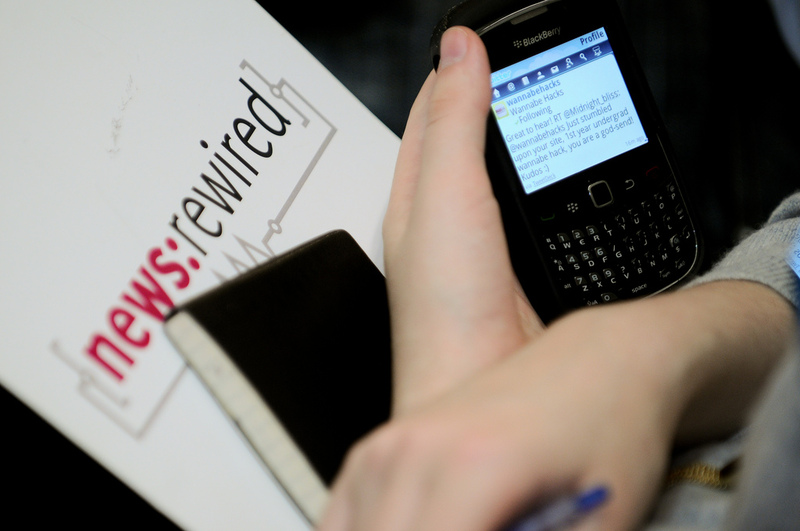 As mobile devices grow in popularity, the way news organisations deal with mobile news has become more important, as the mobile publishing panel discussed at news:rewired. Apple and publishers have had a tumultuous and chequered history, so it was a brave decision to pull the Financial Times away from the app store, said its managing editor Robert Shrimsley. Shrimsley said the primary reason the FT ended its relationship with Apple was wanting to understand more about its readers, which was difficult after Apple changed the terms of its app store. Data is at the heart of what we do. It’s important for us to have that relationship with our readers, and find out more about them. We are still seeing the same amount of subscribers coming through on the web app. Instead the FT embarked on building a web app, which adapts to whichever device the reader uses to access the site, meaning they’re ready whenever a new device is released (similar to the responsive approach explained by Kate Milner from the BBC). The Guardian, on the other hand, seem to be taking a more app-based approach. In addition to their mobile site the newspaper has created apps for iOS, Android and Windows 7, as well as pushing their content onto the Kindle and 3rd party apps like Flipboard and Google Currents. Much like the rest of the panel, the Guardian’s mobile editor Subhajit Banerjee’s saw the priority is to “get content to people in the right place, at the right time, on the platform that suits them”. He cited the main challenges as creating the best products for different times of day, editing appropriately for the aforementioned multiple platforms and fully understanding the user. Banerjee demonstrated the Guardian’s struggles with making the mobile site adaptable to all phones, particularly the difficulty in presenting stories that contain large amounts of rich media. Often we fall into the trap of saying ‘this is what the user should read or consume’. But we like to start the journey from the user.